Becoming a member is a great way to help our growing congregation meet our budget and adequately plan our expansion. Everyone, even those who may infrequently use our services are highly encouraged to take out synagogue membership. 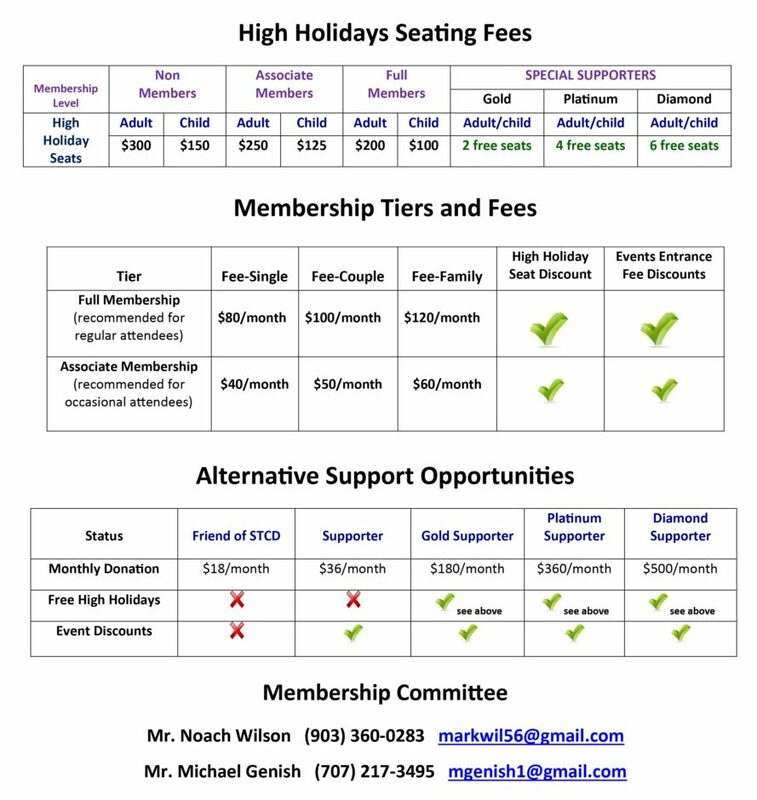 Among other benefits, members are entitled to discounts on High Holidays seats and year-round events (see chart below). Two members of our board have been nominated to serve on a special committee to oversee the process. Anyone interested, is invited to reach the committee members below or Rabbi Sionit to apply for membership, or with questions or comments.